Home » Have Your Say » How could Tibetan democracy be more effective? How could Tibetan democracy be more effective? After months of waiting, we finally know who is going to be the next Sikyong. From the votes counted so far, incumbent Sikyong Lobsang Sangay is comfortably ahead of Penpa Tsering in the final round of the election for the post. With more than 7,000 votes difference out of the more than 40,000 votes counted, and only about 10,000 more votes left to be counted in Dharamshala, a few European countries, and North America, there can be no turn-around. Hence Sangay has won the elections! We congratulate him on his victory! Voting for the 45 members of the exile Parliament took place on the same day. The official final results will be declared by the Chief Election Commission in Dharamshala on 27 April. The election for members of the Parliament took the backseat — there wasn’t much discussion about it. 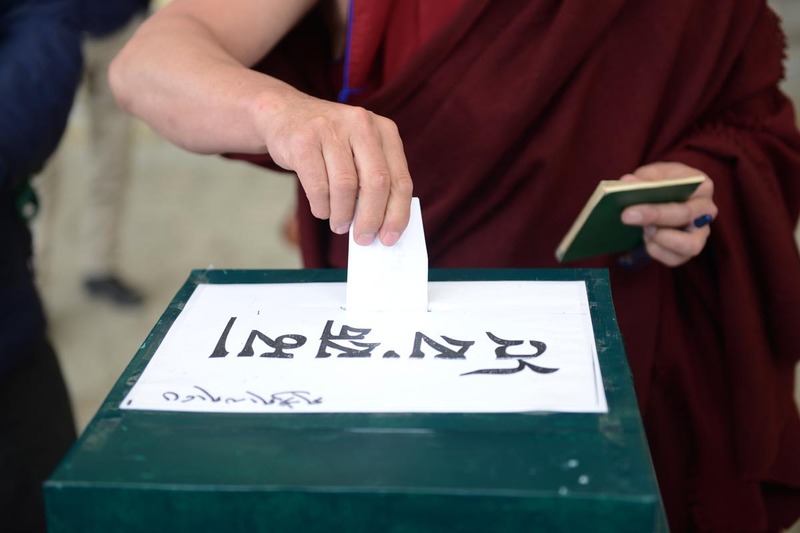 The Tibetan election process is the most widespread in the world — Exile Tibetans exercised their universal franchise at 85 different places around the world. It is also the longest — There was a preliminary round in October 2015 and a final in March 2016. The Election Commission announced the dates of the two rounds of elections on 10 June last year. By the time the final results are announced on 27 April, the whole process will have taken more than ten months. The concept of “one person, one vote” is missing. Here is how it works: The Parliament members are elected on the basis of their regional or religious affinity. Australasia has one seat, and Europe and North America have two seats each. The religious groups have two seats each, which are elected by monks and nuns. So each monk and nun has an extra vote to elect their religious representatives. Lately it is even being questioned whether there should be religious representatives in the Parliament at all. Having two rounds of voting is also considered a waste of time and money. It is only the Tibetan election process that has two rounds, resulting in a big expense which is being carried out at the same time that it is said that the exile administration runs on a shoestring budget. On top of that, the counting process is confusing. For example, the count for the whole of India was finished within three days, except for the count in Dharamshala which is yet not completed. While the count for the US and Canada takes a week, European countries that come under the jurisdictions of Belgium and the UK are still not done. Another important feature of this election is the way the supporters of the respective candidates campaigned — especially the mud-slinging that went on. All in all, a lot has been said in different forums about the drawbacks and loopholes in the Tibetan election process. What changes do you think are needed to make the elections more vibrant, as well as more democratic, in the future? We invite your suggestions and opinions. Some things definitely need change as they are old rules from before the Internet. I agree with some of the points LW has made such as why do we need to vote twice. Just make one time, and finish the entire process in three or four months. After the announcement of the election dates, those who would like to be in the race for Sikyong or Chitue, let them campaign (people could also vote for those they think are worthy to be elected even though they may not campaign), and then do the polling. Whosoever gets the maximum votes, declare them as the winners. If anyone from the top would like to resign, the next in line should go up as the winner. The current process of voting two times is wasting time and money. I also support the idea of scrapping the seats for the religious groups. Why do they need that and what purpose does that serve? If the parliament can’t decide on that, let there be a referendum and decide. Election rules should be clean and clear. The EC’s announcement of the choosing two or three candidates came only after people polled their votes. This created unnecessary problems. EC has its own power and discretion, but these should be used wisely and appropriately. All the announcements should be made well in advance so that it doesn’t create any confusion. The counting in Europe and US took a long time, particularly the US. Please do the counting at each locality the next time and result declared by the respective locality the same day. In the US it would be possible as there are not that many people at many places. Where there are many people like NYC, Minnesota, and Toronto, more people could be employed to do the counting. Find a way, whatsoever, but please don’t take one week to count and declare. Send the result to DC after that, if it’s necessary. The current limit on expenditure is not logical. Both the candidates flew to various places in Europe and the US and also around India. I don’t think the current limit of eight lakh rupees would be enough. That way they have to hide the expenses in their accounting. So they are forced to become corrupt before they even sit on the seat they target. 1 person 1 vote. 1 election only. No religious seats any more see e.g. problem Jonang. Clear transparent regulations by the election committee with own website for the public.